One of the major differences that sets BioGuard apart from most of its competitors is its research and development into value-added technologies. 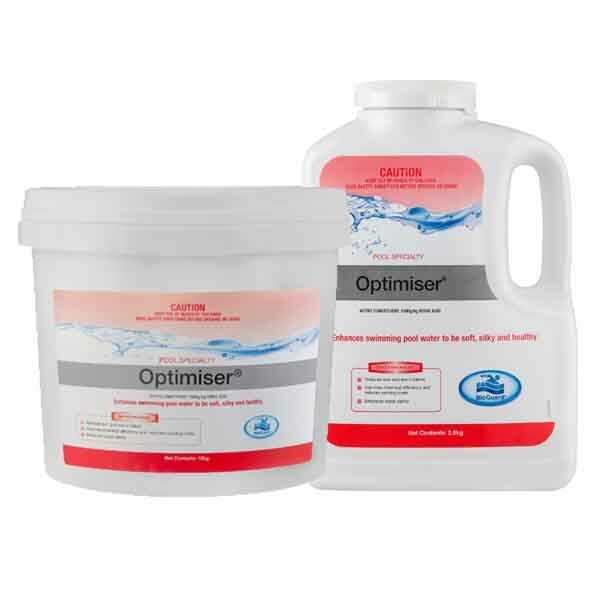 The following products are designed to further enhance the swimming experience by: improving swimmer comfort, reducing skin and eye irritation, improving water clarity, enhancing performance of products like sanitisers and oxidisers, and helping to prevent the growth of algae. These benefits improve the swimming experience and help to care for and protect your valuable asset. The remedy for the sick pool. 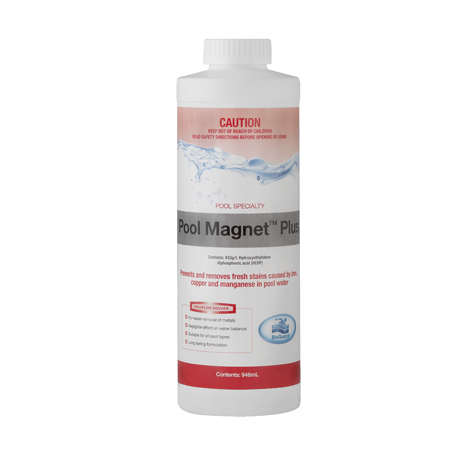 BioLab Pool Tonic removes Phosphate and at least 10 other unwanted contaminants for a stress-free pool. BioGuard Metal Go ensures your swimming pool surfaces remain free of unsightly brown metal stains usually caused by iron or manganese. 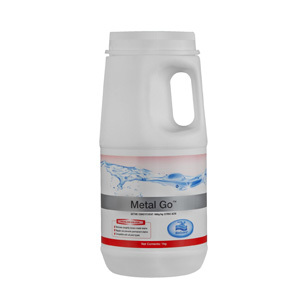 Regular treatment with Metal Go prevents metal stains from becoming permanent. BioGuard Scale Inhibitor is a sequestering agent that prevents the formation of scale from high calcium levels. 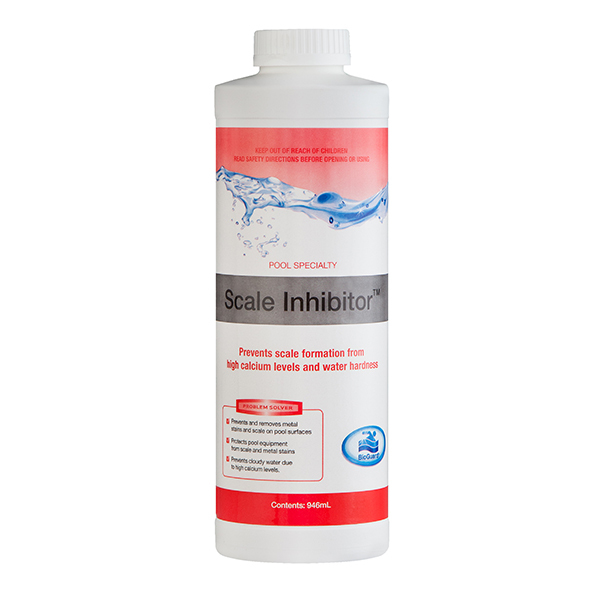 Scale Inhibitor can also help remove some scale build-up. 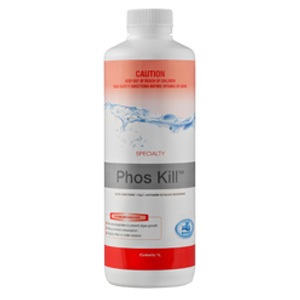 BioGuard Phos Kill will remove phosphates (a major food source for algae) from pool water, preventing algae growth. 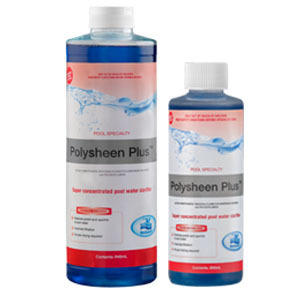 Using this product makes pool sanitation more efficient against green pools and can reduce chlorine consumption. 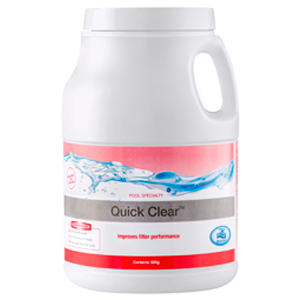 BioGuard Quick Clear assists in restoring the sparkle and polish to swimming pool water, and is particularly suited to removing suspended minerals and dead algae. 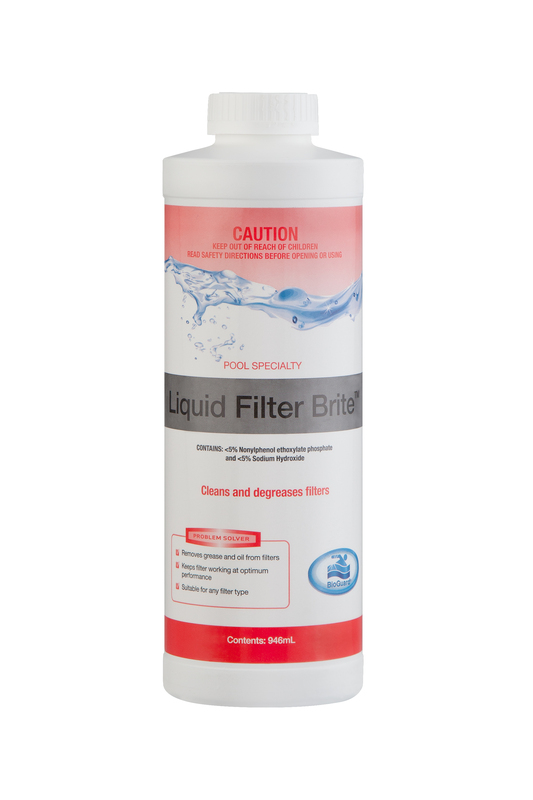 BioGuard Liquid Filter Brite removes oil and grease from any type of filter. Body oils and suntan lotions, which collect in the pool filter, reduce the filter’s efficiency. 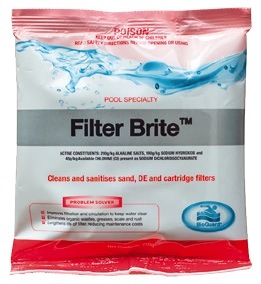 Use of Liquid Filter Brite promotes better filtration, lengthens filter cycles, and reduces maintenance costs. 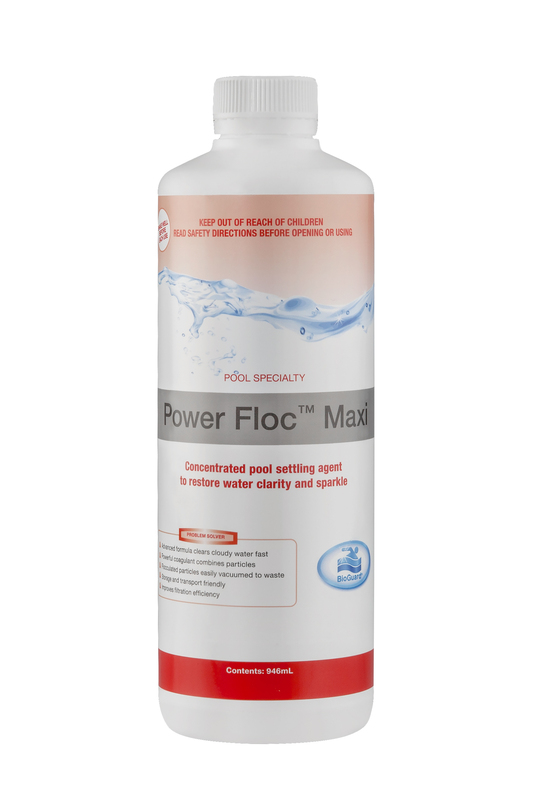 BioGuard Power Floc Maxi is a concentrated flocculant that coagulates and settles suspended particles to the bottom of the pool for easy removal with a vacuum. 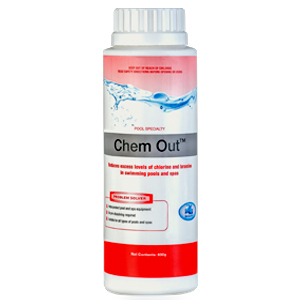 BioGuard Chem Out is a granular neutraliser that reduces excessive chlorine or bromine. 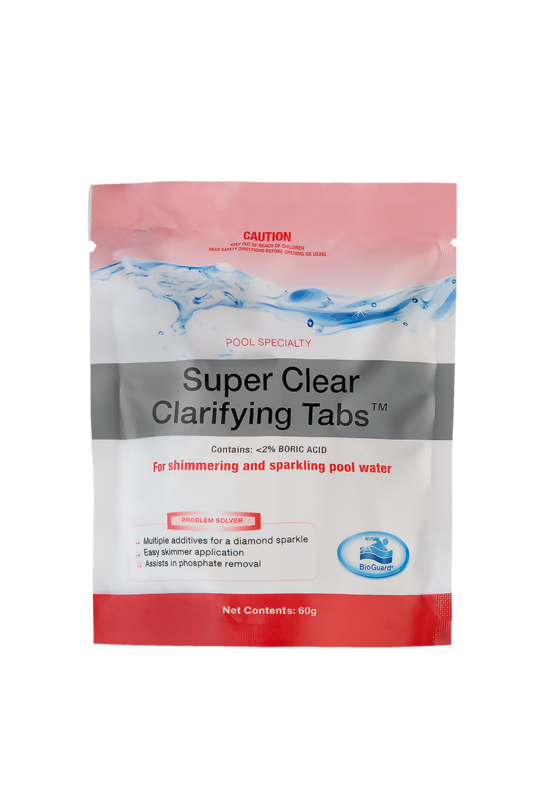 BioGuard Super Clear Clarifying Tabs are 60g tablets containing a propriety clarifier which aids in the removal of both organic and inorganic wastes through a filter by gathering together particles that can cause dull and cloudy water. BioGuard Water Sparkle produces sparkling clear water economically by bonding particles that are too fine for normal filtration. Particles can also be allowed to settle for easy vacuuming. 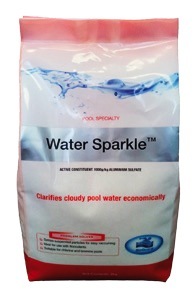 Water Sparkle has very little effect on pool water’s pH and most other pool chemicals.